 With over 250 adult skaters, Rose City Rollers is one of the largest roller derby leagues in the world. How did we get here? As with all leagues, we are committed to investing in our developing skaters as our beloved sport grows and evolves. A few years ago we stopped calling incoming skaters “fresh meat”—recently, we’ve made further changes to our programming with the goal of a better training experience in order to support skater success. This week we sat down with Kate “Zero” Finedaniels to chat about their experiences as one of the driving forces behind the merger of the Rockets, our program for preparing skaters to compete at a home-team level, and Wreckers, our recreational program. What about derby attracted you to the sport? How long have you been involved with the sport, where (if you are / have been involved with other leagues), and in what capacities? I watched roller derby when I lived in Minnesota but didn’t live anywhere near a league I could join. I had a baby and started a new job shortly after I moved to Portland and, after settling in for a couple years, I thought I’d see if Portland had roller derby too. I thought it’d be a fun project for myself and a way to find a community, since we had moved so far away from our families and everyone we knew. I started Derby 101 with RCR in 2014 and skated with the Wreckers until 2017, when I moved to Rockets (where I was a co-captain). I was drafted to the Heartless Heathers later the same year. I moved into Rockets leadership as soon as I could after becoming a home team skater. I also have been an official throughout my entire time with the league. At Rose City Rollers’ annual meeting, you walked the league through the vision and plan to merge two established programs—The Rockets, the league’s developmental program, and The Wreckers, the league’s recreational program—into a single program. What prompted this change? Although the ultimate goal of the two programs are different—Rockets are hoping to be drafted to a home team and Wreckers may want to be on a home team someday or they may want to make Wreckers their long-term derby home—both share the baseline goals of training, development, and community. The Wreckers program is very consistent in creating a clear path and structure for these goals while Rockets is constantly experiencing turn over as people are drafted out of the program and people move into and out of leadership positions. We wanted to learn from the successes the Wreckers have achieved in the past few years with consistent rolling intakes, MSR checking and clearance, and skater feedback. Also, the Rockets program had transitioned from being a fairly mixed-level skater group to being a group of skaters almost solely home team practice-cleared, which led to large chunks of the year where Rockets skaters did not need to use the Rockets programs’ dedicated track times because they were practicing with the home teams. So we had a limited amount of resources that was being split between two programs and we began to think about what it would look like to combine and share the resources instead. Change is difficult in almost every organization. With a Rockets/Wreckers merger, you also had the interests of Rose City Rollers’ four home teams to consider. What was your process to secure buy-in from across the different programs like? Hindsight being 20/20, if another league wanted to do something similar, would you recommend that do anything differently? We made a list of stakeholders and spent the whole summer meeting with one program at a time, starting with Wreckers. Starting the conversation small and then broadening out over time as we added more stakeholders to the discussion pool helped keep the conversation focused. We learned early on which elements were the most important to each program. I think that kept us from going in the wrong direction or spending a lot of time developing an idea that wouldn’t fly with one of the stakeholders. To that end, we tried to approach each meeting with an open mind, ready to present our ideas but also were hungry for feedback and new ideas and different perspectives as well. We also checked in with our small group between each one of these meetings to keep our ideas focused and consistent. When you look back at your experiences, and hear about the experiences of the skaters you’ve spoken with, what are the two or three things that keep coming up as impediments to their growth? How do you hope that the combination of the Rockets’ and Wreckers’ programs will address those challenges or create new opportunities for skaters to develop their individual skills and ability to be an effective part of a team? Access to training and coaching came up over and over again. Wreckers will have access to more track time and high-level skating opportunities. Structuring home team coaches for certain practices is a great start, but we continue to talk about training arc and coaching structure as we begin to move forward as well. Part of the merger is adding dedicated training clinics (or boot camps) to the couple months pre-draft. It’s really exciting that we have the chance to decide what training concepts are important to us and then teach those concepts to potential draftees in a structured way as we prepare them for home teams. The first boot camp starts next month! If we were having this conversation a year from now, what does success look like? What are you watching out for in terms of signs of success or unforeseen challenges for you to tune the strategy to combine the two programs? Home teams drafting skaters that are prepared to compete on home teams without compromising Wreckers as a place where people can skate at the level of involvement and intensity that they choose.